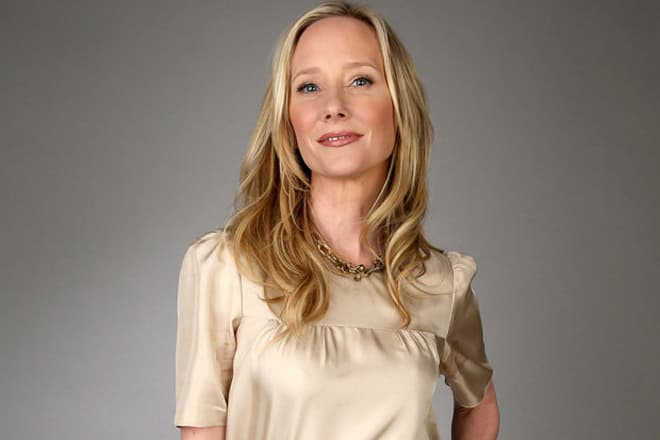 Anne Heche is an actress, director, and scriptwriter. There are movies of different genres from comedies to horror films in her filmography. She played in the famous films Nip/Tuck, Gracie's Choice, I know what you did last summer. Anne Celeste Heche was born in May 1969 in Ohio in the family of a Baptist priest. Anne had sisters Susan, Cynthia, who died when she was two months old, Abigail and brother Nathan. Her nephews Elliott and Natalie sing in the rock band Wild Belle, and their songs were soundtracks to the series Grey's Anatomy and The Vampire Diaries. Heche’s early life was not easy. Before the girl turned 12, the family changed the place of residence 11 times. In 1985, her father died of AIDS, confessing before death that he was homosexual. Later, the brother died in a car accident, and Susan died of brain cancer. Her mother remarried only in 2008. In her youth, Anne had mental health concerns and went to a psychiatric hospital. According to the actress, Celeste is not just her middle name, but her second self, which Heche created to avoid the reality. The upbringing in the family forced Anne to pretend that everything was fine. Celeste spoke to God in another language as if she was from another planet. The girl regularly used tobacco, alcohol, and drugs. When the actress was high on drugs, she even made a tattoo in the shape of a butterfly on her lower back. However, Heche admitted that taking LSD "cured her consciousness." According to Anne, she did crazy things to make the parents love her. Her father liked movie stars. Therefore, Heche decided to become famous. The mother worshiped Christ, and the girl wanted to become Jesus Christ. Anne tried to see the good in everything that happened in her life. After graduating from High School in New Jersey and Francis W. Parker School in Chicago, Anne moved to New York and began filming in the soap opera Another World. The series was broadcast for 35 years. Sarah Hyland, Kyra Sedgwick, Ellen Wheeler, Kaitlin Hopkins also starred in it. The character of Vicky Hudson brought Heche an Emmy Award. The young actress was showered with offers. Her filmography also included the comedies Milk Money with Melanie Griffith and Malcolm McDowell, and I'll Do Anything with Woody Harrelson. In 1997, Anne got a leading role in the disaster film Volcano. She played a couple with Tommy Lee Jones. In the film, their personal feelings mix with duty because the heroes have to save Los Angeles from the devastating stream of lava. At the same time, the actress appeared in the famous horror film I know what you did last summer. She portrayed the sister of a guy who was struck and killed by the title characters. Jennifer Love Hewitt, Sarah Michelle Gellar, Ryan Phillippe and Freddie Prinze, Jr. played the roles of the victims who were attacked by a psychopath. In the comedy Six Days, Seven Nights Heche played Harrison Ford’s hysterical companion, who crash-landed on a desert island. In the drama Auggie Rose, she portrayed a girl who had a pen pal, Kim Coates’s hero. Jeff Goldblum’s character went to meet her in real life and pretended to be her friend. However, she does not suspect him of deceit. When the actress played the roles of a secretary and a thief in the remake of Alfred Hitchcock’s thriller Psycho as well as Beth Eastern in the drama Return to Paradise, People magazine named the actress one of the 50 most beautiful people in the world. In 2004, Heche portrayed Nicole Kidman’s relative in the psychological drama Birth. According to the plot, a boy practically drives Kidman’s heroine to frenzy, pretending to be her reincarnated husband. Cameron Bright, the future star of Twilight and X-Men, starred in the role of a young deceiver. Comedy melodrama Spread talked about a young gigolo (Ashton Kutcher), who lived with Anne’s heroine because she could provide for him. The thriller Fatal Desire is based on real-life events. The character of Tanya Sullivan was inspired by a woman who managed to murder her husband with the help of a pen pal. Anne blackmailed Eric Roberts’s hero with pregnancy and abuse and forced him to shoot her innocent husband to death. In 2015, Anne began shooting in the popular series Quantico about the recruits of the FBI Academy, who change their attitudes towards life and their debt, as well as develop their careers. Heche played a teacher, Dr. Susan Langdon. Bollywood star Priyanka Chopra got the leading role. 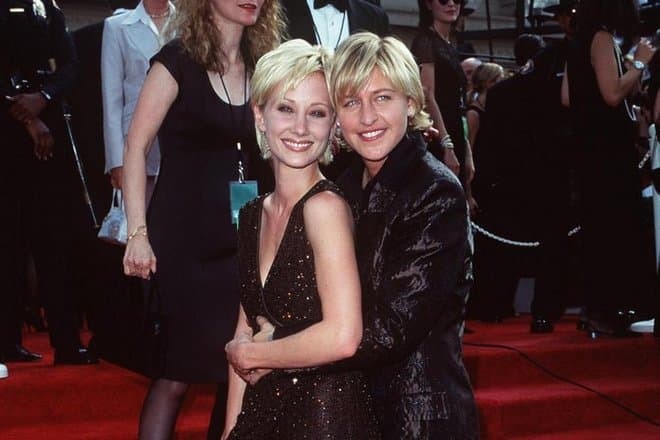 The American actress values honesty above all things, and therefore Anne Heche's relationships with the famous TV host, Ellen DeGeneres, was not a secret. The celebrities dated for four years. Heche said they would get a civil union if such became legal in some state. Before her coming out, Anne had quite traditional love affairs with producer Neal Moritz, famous comedian Steve Martin, John Cusack's brother Bill and the star of the series, Richard Burgi. In 2002, the actress gave birth to the first child, son Homer. The child’s father was her first husband, cameraman Coleman Laffoon. The couple met on the set of the film about DeGeneres. In 2008, they divorced. A year later, the son, Atlas, was born. 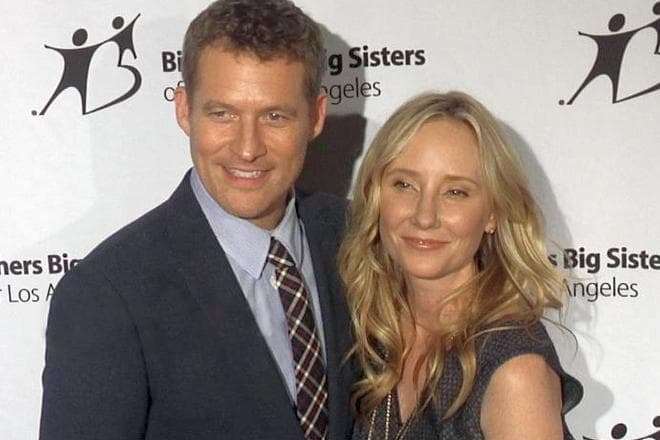 Heche gave the boy an unusual name, even though his father, actor James Tupper, said that other children would laugh at him. The lovers did not hasten to marry. The woman joked that she collected rings that Tupper presented her every year. The actors played husband and wife in the Canadian apocalyptic thriller Aftermath. The series is centered on the Copeland family, a couple and their three children, who struggle to survive as natural disasters, followed by the rise of supernatural beings, bring civilization to an end. In January of 2018, Anne and James broke up. In 2001, Heche published an autobiography with the eloquent title “Call Me Crazy: A Memoir." The actress wanted to break with tragic events in her past and accept her life after it. Anne has pages on Twitter and Instagram, and also an unofficial account on Facebook. 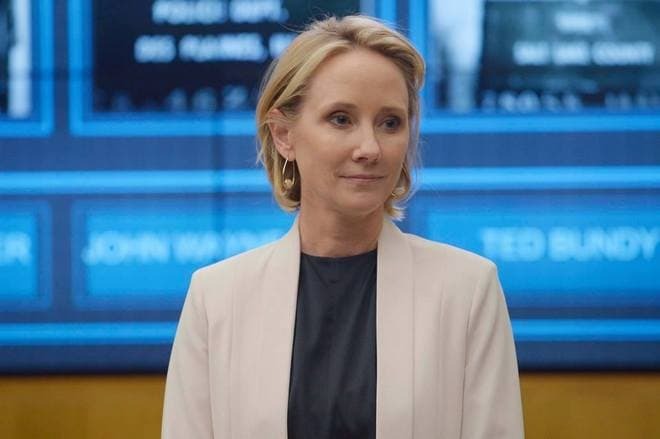 The American press writes that viewers know Anne Heche’s face rather than her name. Be as it may, but the actress’s filmography includes more and more movies every year. In the biographical drama film My Friend Dahmer, the actress appeared in the image of the mother of the serial killer and eater, Jeffrey Dahmer. In the comedy The Last Word, Anne made the audience laugh together with Amanda Seyfried and Shirley MacLaine. In 2017, Anne who at first glance seems very slim (the actress’s weight is 53 kg, the height is 165 cm), played an iron lady, an agent of the Defense Intelligence Agency, who was ambushed. The actress’s partners in the fantastic thriller were Wesley Snipes, professional wrestler Seth Rollins, Kyle Russell Clements, known for the horror film The Walking Dead. In 2018, Heche co-starred with Jérémie Laheurte and Mickey Rourke in the sci-fi thriller Vestige. The movie will tell about the future, which is controlled by artificial intelligence.